Accidents, Road mishaps, and major accident encounters while driving conditions are really bad. The vehicles which undergo accidents get completely broken and damaged. Towing is needed in such situations in order to protect the vehicle from further damage. Flash Towing San Jose is the towing company in CA. you want to call! we provide all the towing services along with Emergency towing, 24 hours customer support and many more. Solicitations: As per the California Vehicle Code, the towing company cannot tow the vehicle unless the victim or the operator of the vehicle permits. They can give assistance if asked by Law enforcement official, or public agency pursuant. Any violation of this rule may be considered as Misdemeanor against a tow truck operator. Unauthorized Towing: Whenever there is an accident or any road mishap, in such case the tow truck operator cannot tow the vehicle directly without first being authorized by the vehicle owner or law enforcement official. If they violate this rule than they would be prosecuted as a misdemeanor. Official Vehicles: If the tow truck operator is employed by the public agency or by the law enforcement agency then they can remove the vehicles without first being authorized by the owner. Contracted Vehicles: Any Tow truck operator who has a contract with the law-enforcement agency or government agency can disregard the rules to the extent provided by law. Flash Towing San Jose service follows the above law of truck towing and provides assistance in Emergency towing and accidents. Other services provided by this company are Roadside assistance, car lockout solutions, gas filling, flat tire change and many more. In California, various companies are certified which means they are government registered. car towing service is provided by almost every company and it means hauling the car from one place to another. 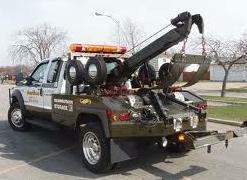 Car repairing is also one of the services of car towing.